This two-day symposium, organized by UCLA faculty, Saloni Mathur and Aamir Mufti, is held in conjunction with the exhibition Zarina: Paper Like Skin, curated by Allegra Pesenti of the Hammer’s Grunwald Center for the Graphic Arts. It brings together world-renowned scholars in the humanities to consider questions of dispossession, displacement, and the exilic imagination in modern art and aesthetic thinking. 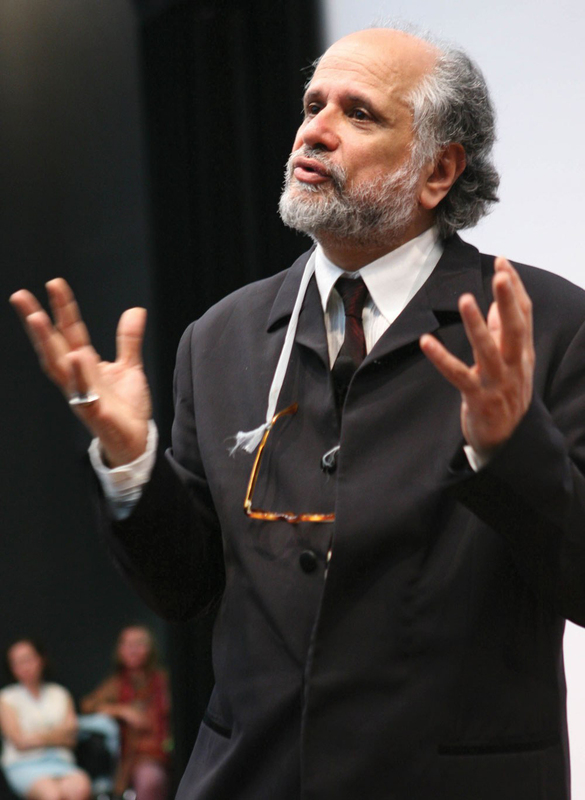 Homi K. Bhabha is the Anne F. Rothenberg Professor of the Humanities in the Department of English, the Director of the Humanities Center and the Senior Advisor on the Humanities to the President and Provost at Harvard University. He is the author of numerous works exploring postcolonial theory, cultural change and power, and cosmopolitanism, among other themes. Some of his works include Nation and Narration and The Location of Culture, which was reprinted as a Routledge Classic in 2004. Harvard University Press will publish his forthcoming book A Global Measure, and Columbia University Press will publish his next book The Right to Narrate. Strangers in a Strange Land is sponsored by the UCLA Department of Comparative Literature; UCLA Center for the Study of Women; David Schaberg, Dean of Humanities; Christopher Waterman, Dean of Arts and Architecture; and Professor Dan Neuman, Ethnomusicology.